Visiting Gardens: Others prefer to visit the Cornish gardens and admire the large array of plants and trees. Some of our favourites include Glendurgan, Trelissick and Trebah, it’s a lovely day out and nice to take the dogs too! Go for lunch Most of us agreed with this one! It’s always great to escape for a day out and something nice to eat with friends or family. 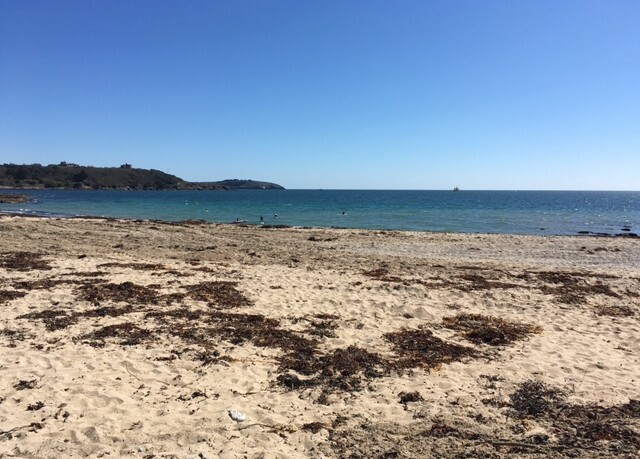 One of our favourite ways to spend a day is to hop on an Enterprise Boat and head to Falmouth or St Mawes for something nice to eat next to the water! Visit Land’s End It has to be done at least once, spend the day at Lands End, the most westerly point of Cornwall – it is iconic after all! Go for a cycle With so much beautiful scenery, cliff top vistas and cycle paths, hopping onto two wheels and exploring is one of the favourite Partech past-times. The Camel Trail is always a good one, park at Wadebridge and cycle to Padstow before stopping for lunch! Visit the many attractions Those of us with kids or grandchildren in the office tend to spend most weekends visiting places like Newquay Zoo, the Seal Sanctuary, the Eden Project or the Maritime Museum. The Beach In saying all of this… the number one way to spend a weekend in Cornwall was (according to our sophisticated Partech lunch time poll) visiting the beach! Packing a picnic, a windbreak and a good old bucket and spade and heading to the beach. But which beach is best? Well that’s an entirely different discussion…watch this space for the great beach debate! How do you spend your weekends in Cornwall? Share and give us some inspiration!